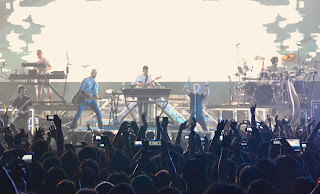 PASAY, Philippines — Touring in support of its new album Living Things, Linkin Park brought its high-powered alt-metal-rap-rock to the Philippines’ for only the second time in its career, performing at the SM Mall of Asia Arena on August 13. Audio for the 20,000-seat arena was supplied by Manila-based tour sound contractor SoundCheck (www.soundcheck.com.ph), with a massive sound system featuring 128 HARMAN JBL VTX Series line array loudspeakers and subwoofers powered by 30 Crown VRACK amplifier systems. SoundCheck has supplied tour sound for top international and Philippines acts since 1992. 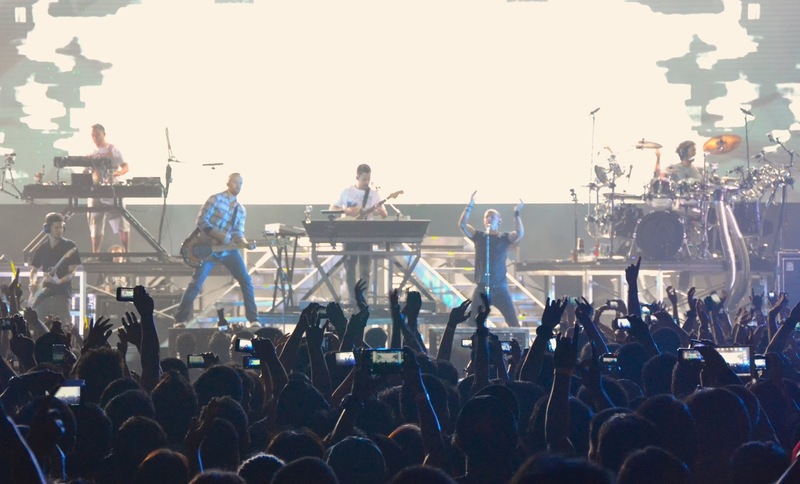 The system deployed for Linkin Park included a total of 60 JBL VTX V25 line array elements and 60 VTX S28 subwoofers flown for the main and side PA. In addition, six JBL VERTEC® VT4888DP-PA powered midsize line array elements were used for the center cluster, and 16 VERTEC VT4880A fullsize arrayable subwoofers and 12 VRX932LA-1 Constant Curvature loudspeakers were ground-stacked with the subs in cardioid configuration. Thirty Crown VRACK amplifier racks and three custom Crown racks powered the loudspeakers. VRACK is a complete, transportable amplifier solution that includes Crown I-Tech HD Series power amps, analog and digital connections and a universal power distribution system, housed in a wheeled rack with a suspension system that enables VRACKs to be suspended. Total amplification for the Linkin Park system added up to 78 Crown I-Tech 12000 HD amplifiers, nine I-Tech 9000 HD and 12 I-Tech 3500 HD amps. SoundCheck used JBL HiQnet Performance Manager™ software to set up and control the system. Providing additional support to the SoundCheck team throughout load in and the show was HARMAN Professional Asia’s tour sound market manager, Vincent “Vinnie” Perreux. Although the SM Mall of Asia Arena is a very large 20,000-seat venue, once SoundCheck began the process of setting up the show, Perreux realized the amount of equipment requested on Linkin Park’s rider was actually going to be too much. “I think more audio professionals are starting to realize this now but the JBL VTX line arrays and subwoofers deliver far more output and coverage than other line arrays of their size, with more clarity, lower distortion and smoother tonal response,” Perreux noted. In fact, when Perreux, SoundCheck and Linkin Park front of house mixer Ken “Pooch” Van Druten started the show, they left some of the top subwoofers completely off and kept the rest of the subwoofers between 7dB and 10dB down. “Even at the end of the show, when the band was going flat-out pedal to the metal and the audience was going nuts, we were still running the subs at -3.5dB,” said Perreux. 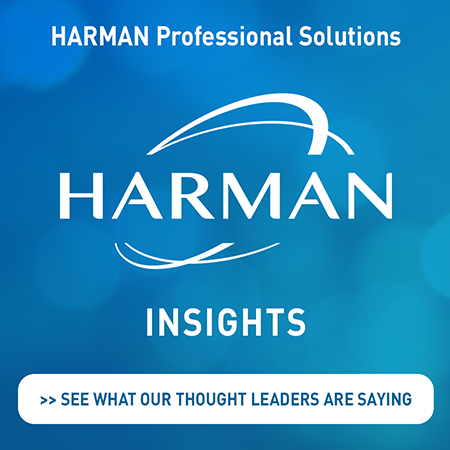 HARMAN is dedicated to global excellence in the branded-audio and infotainment markets. We develop and deliver solutions that embrace innovation, superior value and a highly-satisfying customer experience. We achieve this by fostering a culture of employee empowerment and creativity. For additional articles featuring a variety of informative content from our solutions experts and thought leaders please visit our Insights page.